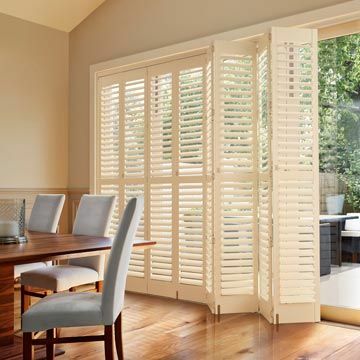 Finish your conservatory with finesse by choosing stylish shutters for your side windows. They’ll help control heat and light, and protect your privacy. Top tips to get your conservatory looking tip top. Create a white and cream scheme in your conservatory. Six great ideas for conservatory blinds. 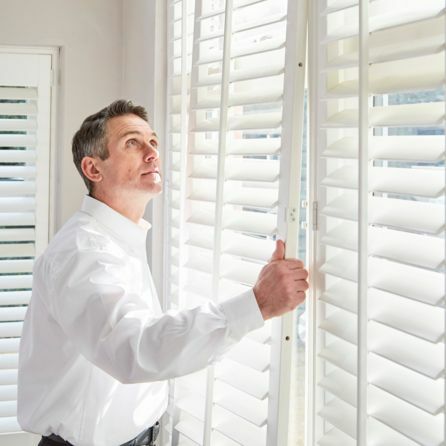 Shutters are the finishing touch, especially in a room full of windows like a conservatory. With our clever Henley range of shutters, you can be sure of a warp-resistant finish that will look stunning for years to come. Shutters have an insulating effect too, helping make your conservatory a more temperate place. With all those windows comes a need for light and privacy control. That’s where our Henley shutters really shine. Tilt the louvres to make overlooked spaces private and pinpoint the source of glare. The practical, water-resistant finish means they’re warp-resistant, even in the humid or hot conditions of a conservatory. When you choose conservatory shutters from Hillarys, you can be sure of a made-to-measure finish that’s perfect every time. 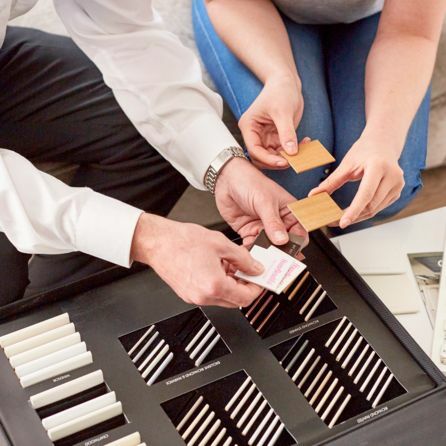 During your in-home appointment, you’ll have the opportunity to discuss configurations and practical benefits, as well as choosing your favourite shade.